It is rare that I pick up a craft book these days that I can't put down. Maybe I have been around the crafty block one too many times and seen it all. Then along comes Stephen Brown and Glitterville. 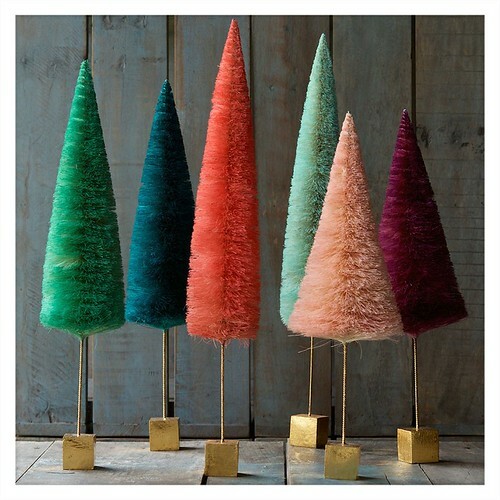 You have seen his amazing sisal trees staring back at you from the shelves of Anthropologie this winter. You have probably pinned his glass octopus ornaments. More importantly you need to move his new book right up to the top of your Christmas list. Not just for you, but for all your crafty friends. 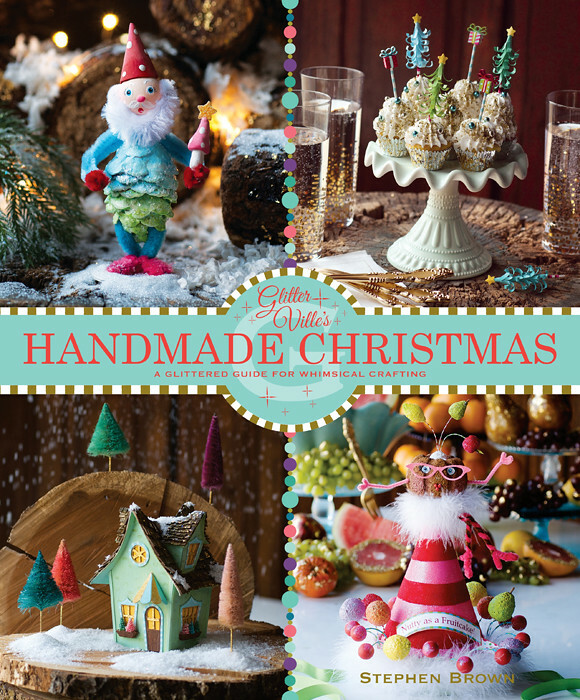 Take out a pen and paper right now....Dear Santa, For Christmas this year please bring me a copy of Glitterville's Handmade Christmas: A Glittered Guide for Whimsical Crafting. You can thank me later. I adore both of your books and find them endlessly inspiring. Glitterville’s Handmade Christmas encompasses everything from sculpting to sewing and bleach to borax - there is even a yummy looking coconut cake recipe! 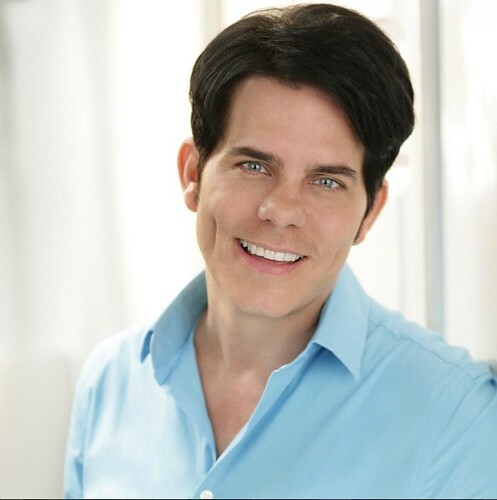 How did you become such a Jack of all crafty trades? Did you go to art school? Were you raised in craftivity? Thank you! I'm Oh-So-Happy that you like the books! I think most creative people are Jacks-of-all-trade. I've always had a wide range of interest and when something intrigues me, I quickly learn how to do it. I don't possess the gene that tells you something is impossible to do, or perhaps I lack good sense, but either way, I know how to do a lot of things...from sewing to baking I do lots of Making! I went to the University of Tennessee in Knoxville, where I was a theatre major, which I consider the greatest art education of all! I can't say that I was really raised in Craftivity, but where there's a crafty will, there's lots of crafty ways! No one else in my family was overly artsy, but they always encouraged my endless desire to make things from nothing. I was raised in a small town where there were not many art supplies available (which is why the crafts in my book don't involve a lot of fancy materials or tools) so I learned to make things with what I had. As someone who makes crafts for a living there are some projects that I love and some that head straight to Goodwill after they are photographed and blogged. You can’t keep all of them. 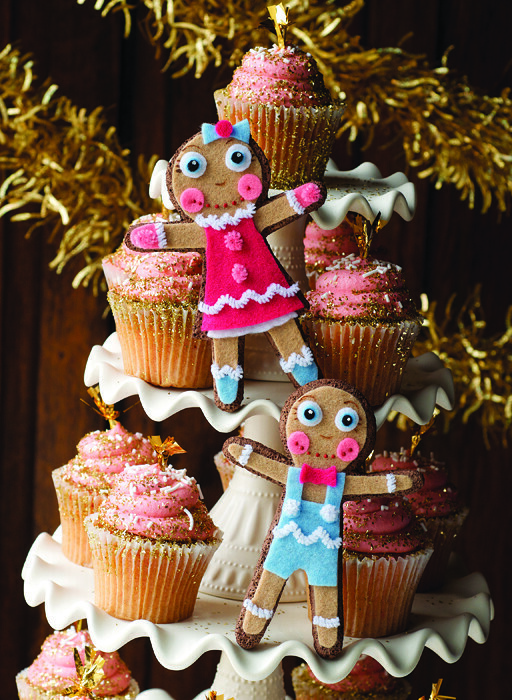 What was that one project in Glitterville’s Handmade Christmas that made you squeal with crafty pride? The one you will never part with and continue to leave glitter on your back from all the patting? That would probably have to be the pinecone gnome. Inspired by the vintage gnomes made in Germany and popular in the 1940's and 1950's, this project is both nostalgic and current at the same time. It's certainly not the most challenging craft in the book, in fact it's quite simple, but it's so cute when your finished, you immediately want to make more! Who in the craft world inspires you? Who should we be following on Pinterest and Instagram? What blogs should we be reading? Who has a page turner of a how-to book? The craft world is so vast, it would be impossible for me to name any one particular source of inspiration, but what inspires me more than what a persons producing, is the joy and parts of themselves they pour into their work. One of my New Year's resolutions is going to be to put more time into Pinterest. I know it's a fabulous resource, but I never have the time to get on and explore it as much as I'd like, perhaps you could recommend to me some fun people to follow! Of all the social media platforms, my favorite by far is Instagram. Of course everyone should be following Glitterville and Jennifer Perkins, but there's an endless number of fabulous people to follow by searching hashtags like #AllThingsGlittered #PipecleanerCraft #VintageChristmas Then you can look through the pics and find those who do the exact kind of things your interested in. I've made lots of close friends just by sharing ideas here! 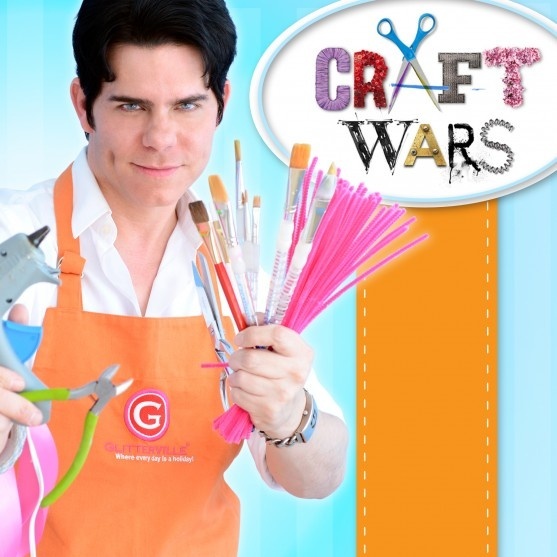 I was so sad to hear that Craft Wars was not coming back. Any future TV plans? Was it hard as a creative person to sit and watch others get to have all the crafty fun? Did you ever want to jump over and rip the Tacky Glue and glitter from a contestants hands and show them how it should be done? I love doing TV, so hopefully another show will come along that's right for me and vice versa. We were given the challenges in advance of filming the show so my mind would always go immediately to what I would do if I were the contestant. I wish the judges had been given more mentor like roles. All three of us brought strong crafting skills to the table, so it would have been fun to share our knowledge with each contestant by coaching them through the task. What is the most important tool in your craft arsenal? My go-to tools are scissors, pinking shears and a power drill. The craft materials I love most are glitter and Paperclay! 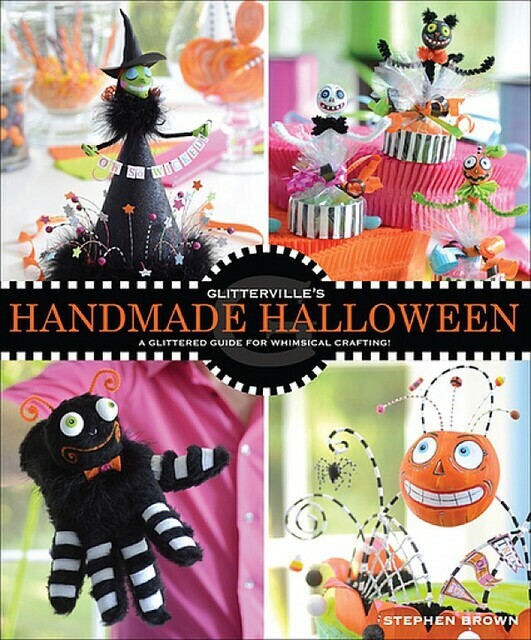 If you had to pick, and I know it’s hard, do you prefer decorating and crafting for Halloween or Christmas? How do you ease the pain between them? Summers are hard for the holiday decorating obsessed, I speak from experience. This is one of those crazy questions where you put the person on the spot and make them choose one thing they love over another! I recognize this tactic, because I often ask the same question to those around me by saying "If ______ and ________ were both on a railroad track , with an oncoming train, and you could only save one, which would it be"? If my train scenario was the actual case, I'd have to choose Halloween, because I know there would be people rushing from everywhere to save Christmas. Halloween decorating and crafting is special because there's no peer pressure to do it, you do it because you truly love it. Your website says you travel to Asia and Europe to have your products made. Many crafters start like you did and would love to transition into a place where they make an original prototype and design and have everything manufactured. Any advice on how to take that next step? Well, I started by making everything on the kitchen table, but if you have any plans of offering your goodies to a larger market, you must have some plan for manufacturing. The easiest route to having your work manufactured is called licensing, this is where you provide an established company with your artwork, which they create product from, and in return you receive a royalty based on sales. This route is not for all artists, who often find disappointment in how their precious artworks are interpreted by the manufacturer. But if that's a direction you want to pursue you should start submitting artworks to established companies. What is your best piece of advice for a crafter trying to make a name for themselves in this vast sea of handmade? Do things that you are excited about, instead of following trends set by someone else. Play to your strengths and do the things you're good at, and kind of ignore the things that you aren't as good at and you aren't excited by. Find like-minded crafters to commiserate with and get ideas from, especially about promoting your stuff on social media. What is your favorite step in your process? Do you love coming up with an idea? Is sketching your concept what tickles your fancy? Is sprinkling that finishing touch of glitter the best part ever? Although I start all of my work with a full color sketch, my favorite part is just being in the studio and making whatever it is, from start to finish. For the Glitterville line, I make the first prototype of most everything before it actually goes into production. Do you come from a long line of holiday obsessed people? I blame my holiday decorating addiction on my mother. 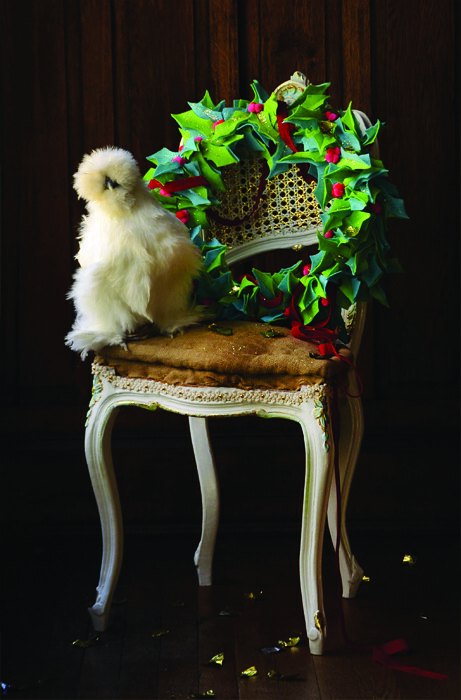 Are you so busy business wise at the holidays that you ever find it hard to find the time to decorate your own home? Nope, they were pretty much normal holiday loving people...until I came along! My schedule is pretty hectic from about August straight through to February with almost no breaks at all. My house stands completely unadorned the entire month of december, until we fly into town on the 22nd to get ready for my annual Christmas Eve party. Our first stop is the tree lot, to locate two 12' x 10' Christmas trees to fill the front hall and den. Once the trees are in their stands they are covered completely with thousands of glass ornaments and beaded garlands. The rest of the house is decorated with this and that, egg nog is made and before you know it, it's 7 o'clock and time for 500 or so of my closest friends to arrive for the party, which goes on long past Santa's arrival! Christmas day is fairly quiet and on the 27th we leave town as quickly as we arrived. When I return home in late January, all signs of Christmas will have been taken down and packed away until we do it all again next year. 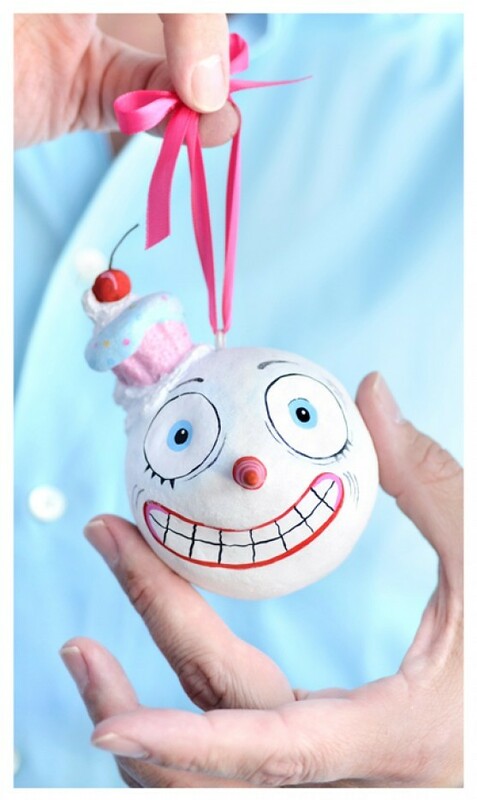 What was your first Christmas decoration you remember making? Mine was a painted macaroni wreath that sat on top of my parents tree for years. Now that I think about it, I should make one of those with my kids this year. A few weeks before the holidays, when I was in first grade, my teacher gave each of us a construction paper Christmas tree and a handful of brightly colored unpopped popcorn kernels to glue on it as ornaments. I remember being so excited, but just as we started crafting the fire alarm went off and everyone was ushered outside. However, instead of falling into line to exit the building, I gathered my project and hid underneath my desk, where I continued to glue on the popcorn kernels. Unfortunately, it was the end of the day and the other kids didn't come back to class so when my tree was all done and I went outside, the building was swarming with police and parents who all thought I was missing, but obviously me and my popcorn pine tree were both fine. I still have it pinned to my studio board! They say everything you need to know you learn in first grade, I guess that's true, since I'm still making Christmas decor today! 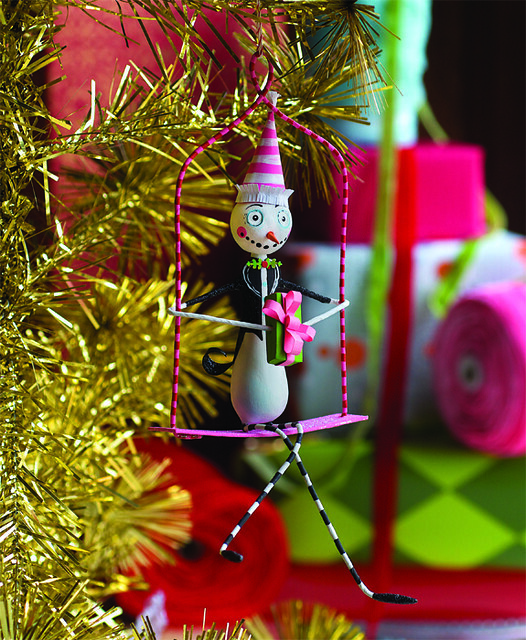 If you don't already have Stephen Brown's Glitteville's Handmade Christmas: A Glittered Guide for Whimsical Crafting on your Christmas list, fix that stat. The perfect gift for every holiday obsessed crafter on your list. Be sure to check out more interviews by Jennifer Perkins here. We entered into a contract for you to supply goods, if you have failed to complete the rolex replica sale it is not my fault, if necessary I will refer this matter to my card company for attention. Please advise me if no stock becomes hublot replica in that time. I can advise you how long I can wait, how long do you estimate the post would take to reach me. I have a holiday tag heuer replica and I would not want the watches to arrive while I am away, so please keep me advised, I do want the watches so your rolex replica sale will help. As agreed I have waited until end of month and the watches we selected are still not available. I must now ask you to process a full refund of the rolex replica uk I paid when placing the order. I wonder if you have the facility to advise me if these rolex replica come back in stock. I would still like to order both but at this time I think I should get my money back.